Two paintings of a man and a woman in a pharmacy. 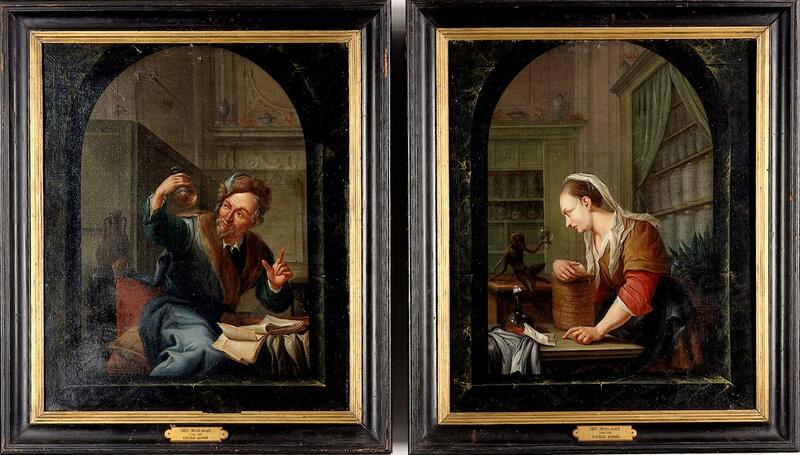 The man is looking at a urine flask and the woman is at a table. Photographed in their frames.